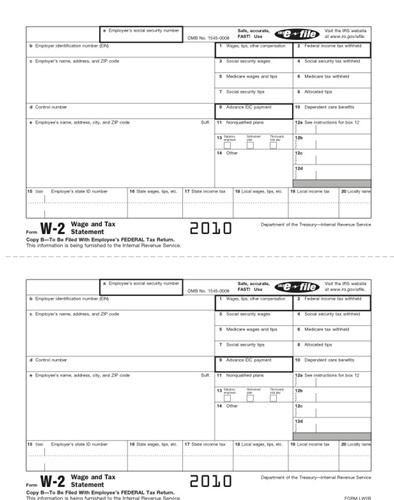 The standard set of prepackaged 4 part 2010 W-2 forms includes 50 sheets of Copy A, B, C, D. Each set of 50 covers 100 employees and is available either with envelopes or without. 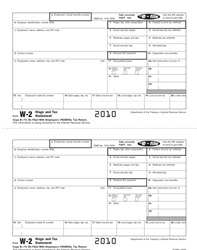 Be sure you are ordering the correct forms as there are no returns available on tax forms. Not sure what you need? The chart below can help you pick the right forms for your company!